Dinosaur Comics - May 5th, 2017 - awesome fun times! May 5th, 2017: I realized I could do this YEARS AGO and forgot (or... the memory was erased from my mind by JEALOUS WIZARDS??) 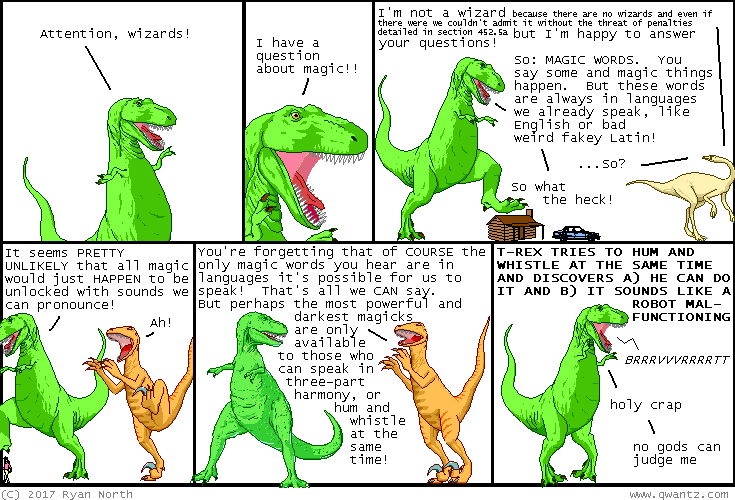 so anyway now it's public and only a CABAL of wizards could possibly put this genie back in the bottle!